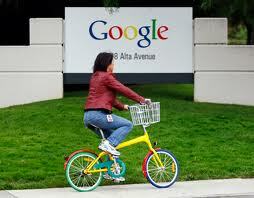 We've yet to see Google bike make the rounds at the stores, is this talk of Google Car now just as much hype? Google's idea of a perfect world is making the rounds in the news this week. There is talk of not owning a car anymore because you probably won't need one Google's perfect world. I would like to see that, "hey I need to go down to the grocery store, Google car please pick me up." Now, you can share a job, don't worry though we won't cut your paycheck! Read all about this and more in this Information Week article.